Doug's recently moved his workshop/studio from Redwood Valley to Motueka. The workshop is fully equipped with two lathes, a Vicmarc VL200, a Technatool Mercury for small turnings plus numerous other wood working machinery. Doug makes a number of his own turning tools - four of which he sells in the online shop/showroom. The large yew flitchs leaning against the "Mule" in the photo above came from a local church and was planted in the 1860's. It is an absolutely gorgeous timber. 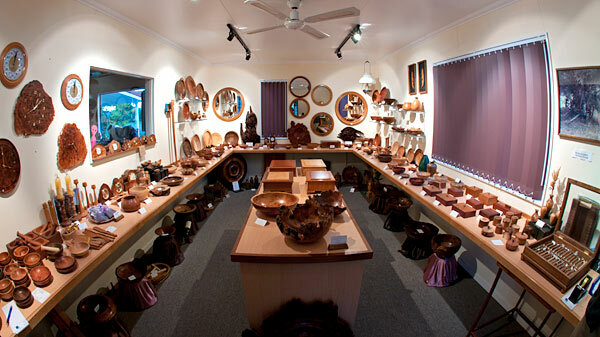 Come along and visit the workshop along Moutere Highway… Look out for the sign!